Baker Hill Classic Town is a new pre-construction townhome development by Norstar Group of Companies, located at Baker Hill Blvd & Main Street in Whitchurch-Stouffville in the heart of Stouffville. Enjoy Living in a charming Hometown community like Baker Hill Towns with all its advantages such as pleasantly landscaped grounds, parkettes, open space for kids, open-air balcony with delightful view, a spacious private backyard, and single car garage. Fashionable matches beautiful with attractive brick and stone exteriors, wide windows and a fabulous collection of great facilities and finishes. Whitchurch-Stouffville is unique as an amazing location in the best way it balances urban style of life with exciting country lifestyle with the up-to-date arrival of innovative production looking to go to the community. What Are The Baker Hill Classic Townhome Features? Baker Hill Town is an ideal place to live in Stouffville. It is located in 300 Baker Hill Blvd Whitchurch-Stouffville, ON where it is easy to access to the all life’s requirements and impressive neighbourhood. The front door will open to Main Street with a variety of shops, services, schools, cafes, banks, work out areas, and golf courses. It has close access to Highway 48, the Stouffville GO Station and many nearby public transportation options. Nearby parks include Rouge view, Rupert Park and Park Place, Dog Park. 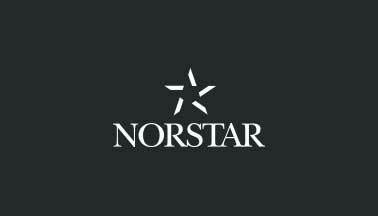 Norstar Canada performs an effective property development and constructing domain with significant specialist knowledge in the dwelling, commercially manufactured, industrial, retail and office businesses with integrating 50 years of establishment, architectural, development and project supervision practice.